The Mortal Coil sound Master Series is made of brushed stainless steel and is designed to increase pleasure. Progressive swells allow for added stimulation. Long and smooth, this sound is perfectly suitable for targeted sensations. Take it to the next level with a little temperature play the Mortal Coil can be warmed with warm water or cooled in the refrigerator. 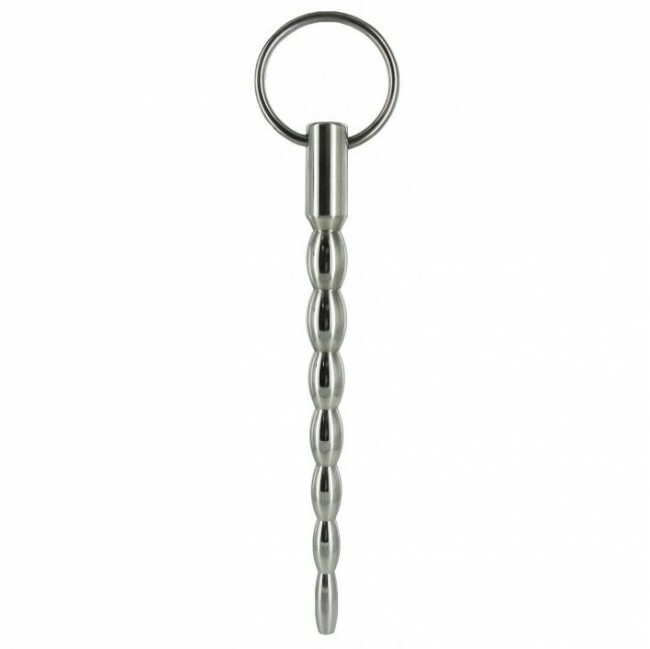 A thru-hole runs through the shaft and a ring pull is attached to the end for easy manipulation and retrieval. Measurements 6.63 inch overall length, 5.13 inch insertable length, 0.49 inch max insertable diameter.